Beyond Reality claims “virtual reality is the future for real estate marketing” and has put its money where its mouth is. 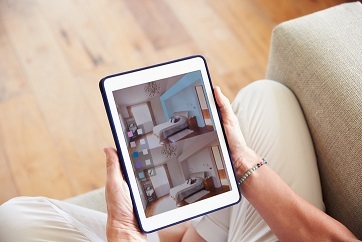 The company has launched an interactive platform for agents and buyers that allows them to explore pre-build properties in virtual reality called Beyond Builder. Using a VR headset, potential buyers can peruse a virtual mock-up of their future home from anywhere. They can “walk” around the entire home and fiddle with furniture and layouts. Even paint options can be changed and amenities explored. Users can print screenshots of their virtual future home and share those images on social media. Developers supply the company with their CAD (computer-aided design) files and Beyond Reality turns them into a fully interactive, 360 degree rendering. The end result is a sales tool that provides a modern spin on the traditional floorplan model. To see the platform in action, check out the video below.